You can use AFerry to book a Grandi Navi Veloci ferry to Spain, Morocco, Italy, Sardinia, Sicily, Malta and France. On board Grandi Navi Veloci ferries you will find the highest levels of service and comfort as well as a full range of facilities. AFerry always has cheap prices for Grandi Navi Veloci and the latest special offers. You can use AFerry to book Grandi Navi Veloci ferries to Barcelona, Genoa, Tanger Med, Civitavecchia, Palermo, Livorno, Malta and many more. For all GNV routes and the latest prices and sailing times see below. Click on your ferry route for a detailed Grandi Navi Veloci timetable with arrival and departure times. 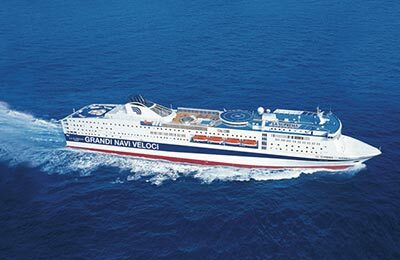 Grandi Navi Veloci operates an impressive fleet of conventional ferries and others that combine features normally found on cruise-ships. 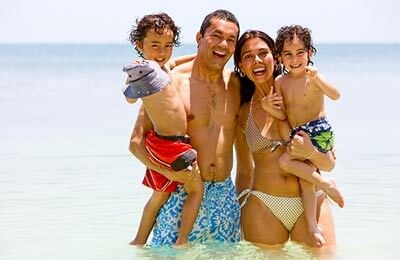 You will be able to enjoy a full range of facilities on each ferry meaning your journey will be nothing but pleasurable from the moment you step on board to your arrival at port. You can choose from a range of Grandi Navi Veloci cabins including disabled cabins. All come with en suite facilities. On the larger vessels they also offer suites with a TV, telephone, radio, air conditioning and mini-bar. On board, a Grandi Navi Veloci you will also find a la carte and self-service restaurants, a snack bar shops and children's play areas. Some ferries also feature a cinema, disco, swimming pool and even a gym if you want to tone up before hitting the beach at your destination. Whether you use the Grandi Navi Veloci Palermo Tunis ferry, the Grandi Navi Veloci Palermo Malta service or any other route with this well known and reputable ferry company, you are certain to have a pleasant journey. Book your Grandi Navi ferry easily and simply with AFerry. You can book your cat or dog on board a Grandi Navi ferry with AFerry. Just choose your route and then select the number of cats or dogs you are sailing with. Grandi Navi provide on board accomodation for pets on their ships where pets must reside. This does not apply to guide dogs. Dogs will also receive a special welcome kit when they arrive on board.